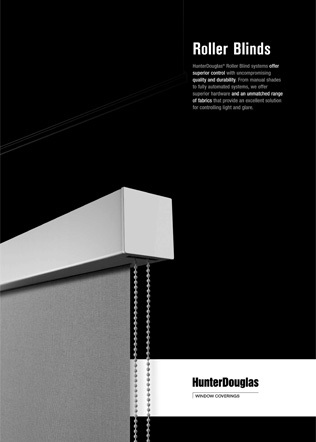 Faber Multistop & Multistop Cassette are spring tensioned roller blind systems that can be locked precisely in any required position and is designed for fitting to slanted rooflight windows as well as small/medium size standard windows. 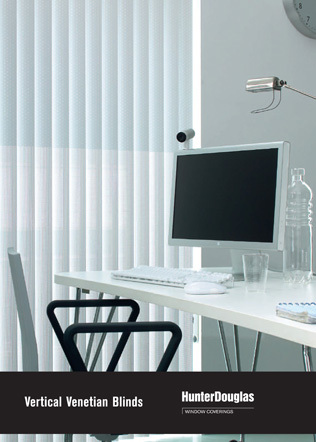 The systems are suitable for light screen or blackout type fabrics in addition to those used for standard roller blind applications. 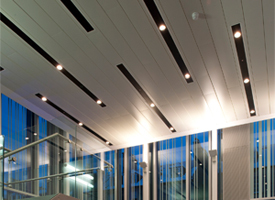 Several control options are offered with the Faber 1800 OL system. 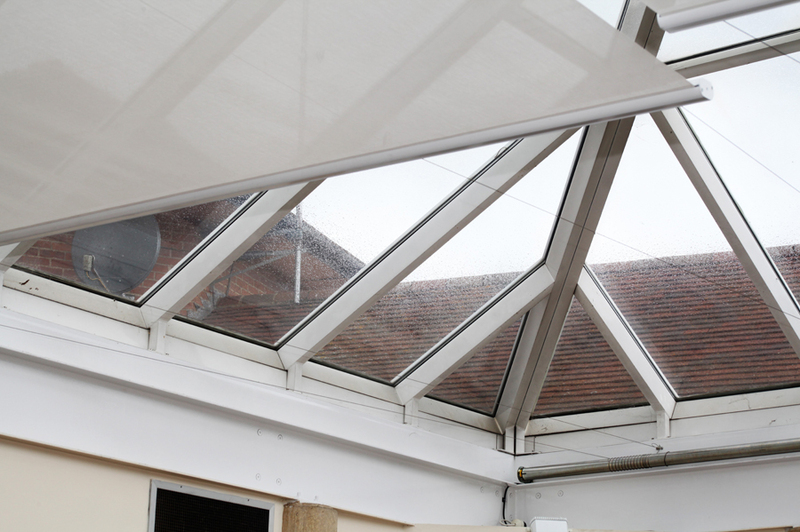 Manual control using a rod operated gearbox is a simple and low cost solution for smaller blind sizes and installations where the blinds are accessible. 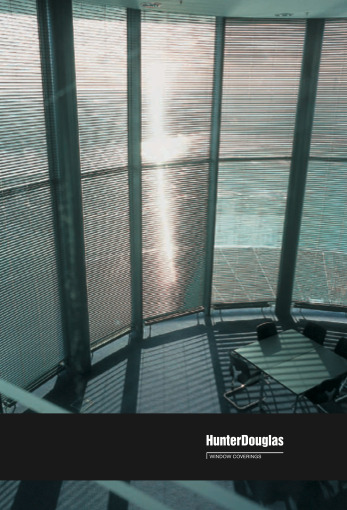 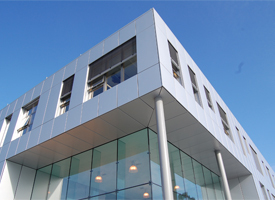 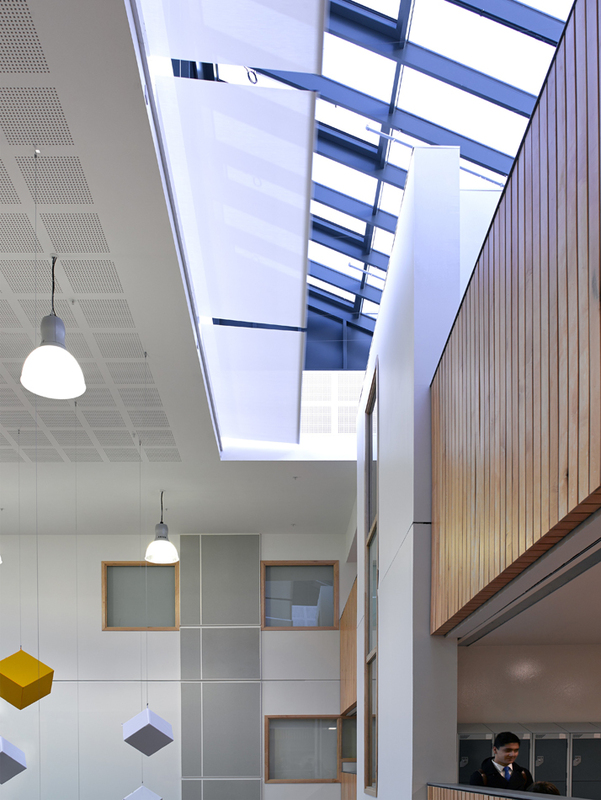 Electric operation is available for high level or inaccessible installations and large areas of glazing, or where the blinds need to be grouped and centrally controlled. 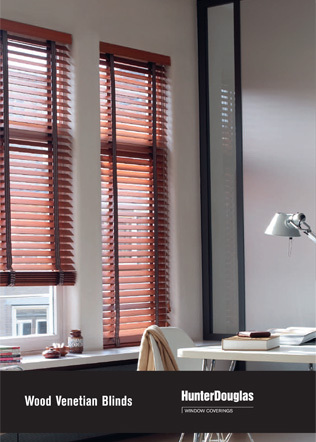 An FTS system is also available with Faber 1800 OL Blackout Blinds, using a motor at each end of the blind. 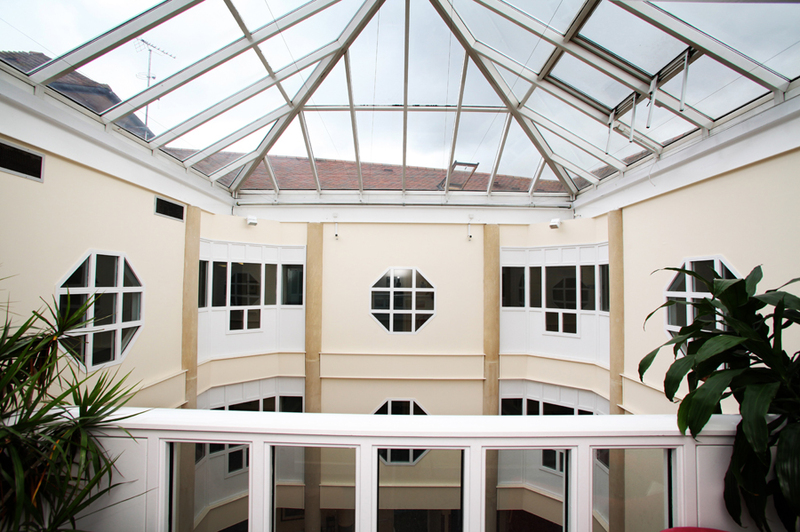 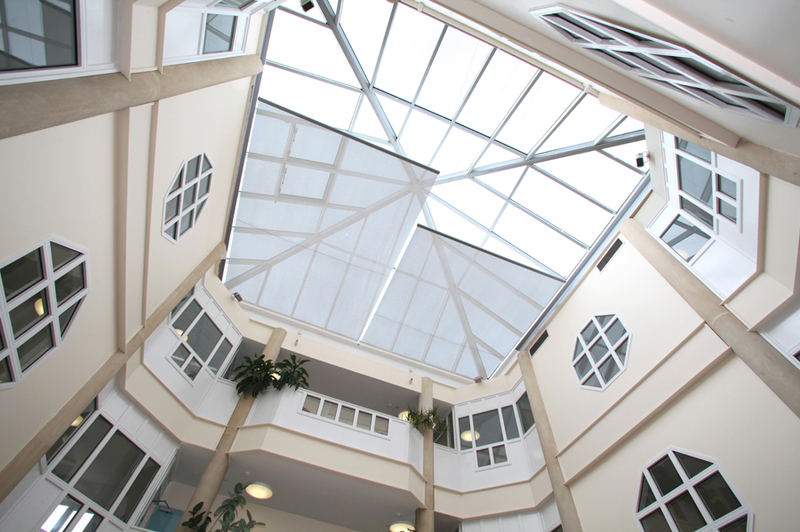 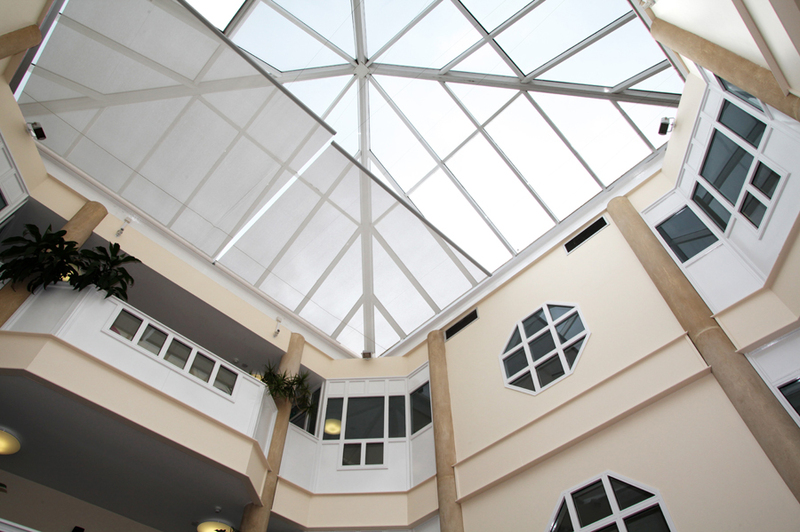 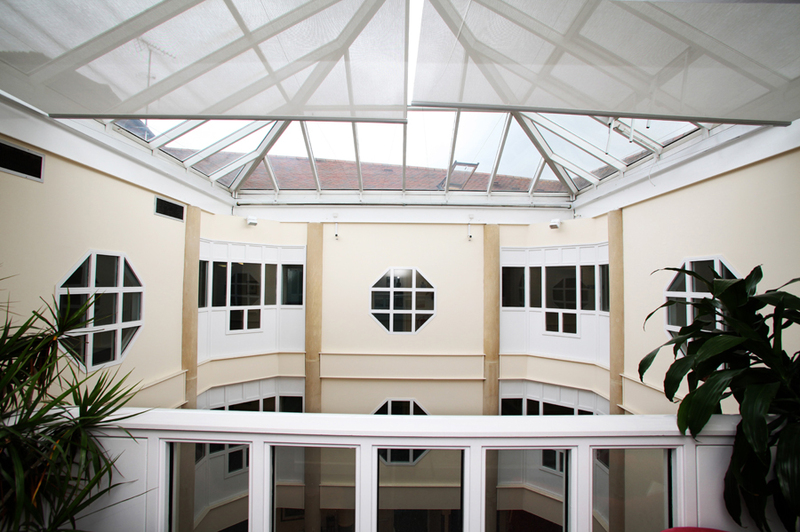 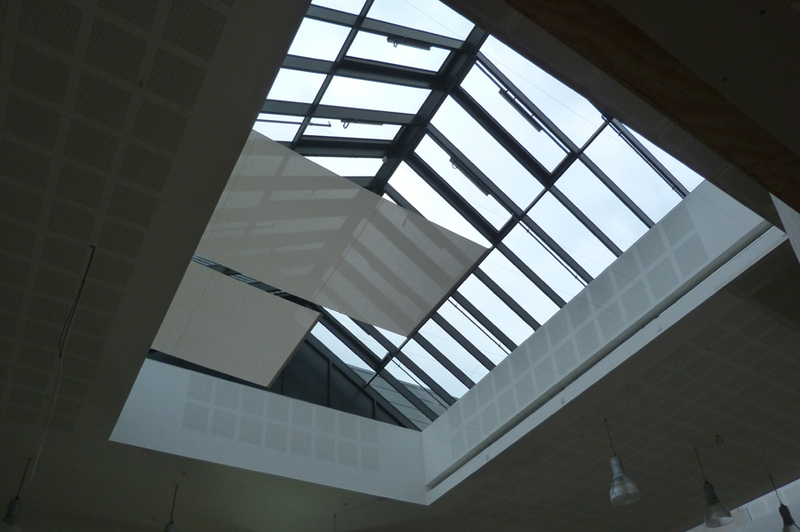 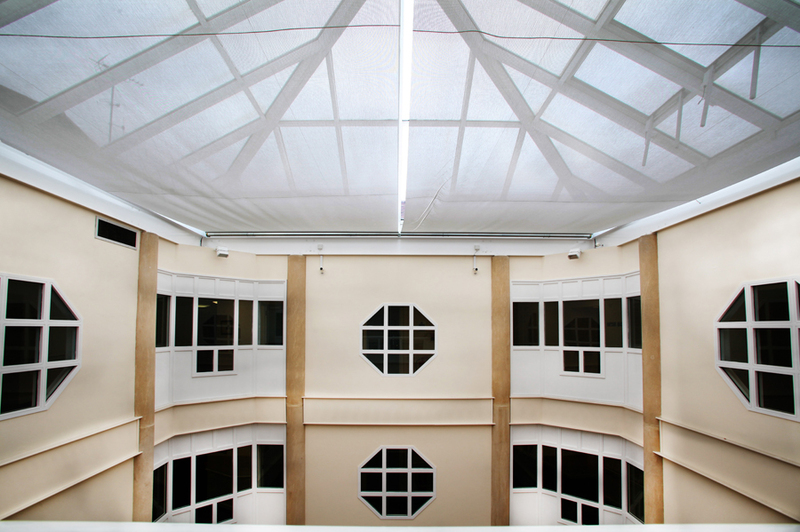 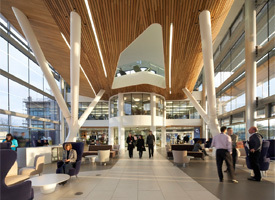 This is particularly suitable for large Applications skylight windows and areas of high level glazing in atriums where it is important the fabric is held under tension at all times.